Repo! The Genetic Opera is a dazzling, bizarre, gory, fantastic sci-fi/horror-rock opera starring horror-icon Bill Moseley, Broadway star Sarah Brightman, Paul Sorvino (Goodfellas, Law and Order) Paris Hilton, Alexa Vega, and a bevy of other delightfully offbeat performers. In 2056, following an epidemic of organ failures, the colossal corporation “GeneCo” offers financing for “designer” body parts, organ transplants, facial reconstruction, and also manufactures a highly addictive pain killer to promote multiple surgeries – but if you fail to make your payments, your purchases (i.e. 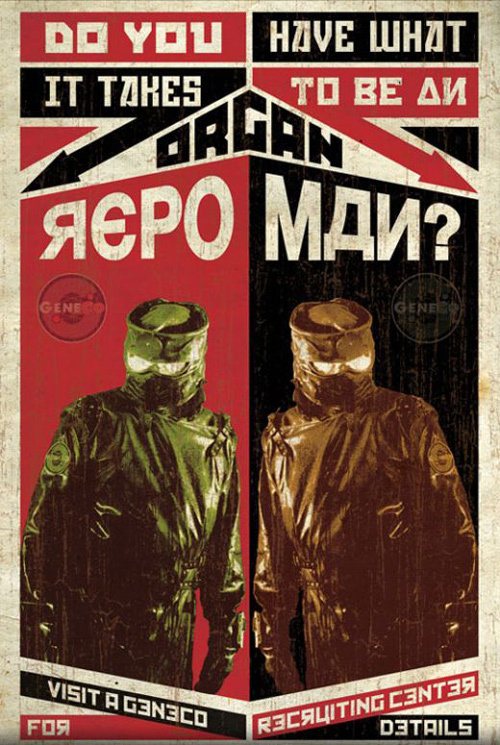 kidneys, heart, spinal cord) will be repossessed by the terrifying “Repo-man”. The songs, singing, and scenery in this film (despite heavy CGI) are absolutely beautiful, and the characters are unforgettable; if you love Moulin Rouge, Saw, and Rocky Horror Picture Show this is a MUST see. how have I never watched this?!? Adding it to my lineup.